I'm lucky enough to live just round the corner from this spot. 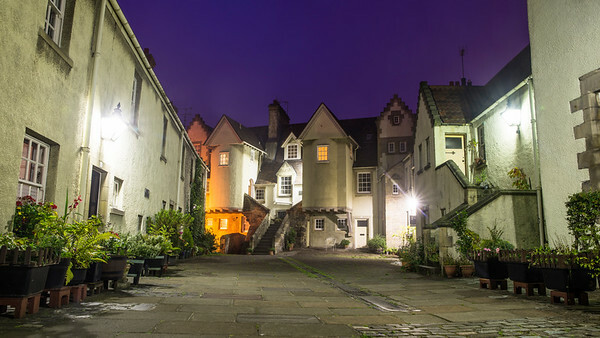 White Horse Close is at the very bottom of the Royal Mile, just opposite the new Scottish Parliament. Although it is somewhat of a stereotypical and much photographed location, it is often missed by tourists visiting due to access being via a somewhat nondescript close! I make sure I never miss it on the way past however!